Ship in 1-2 weeks to the continental US. UK/EU customer can purchase from CVP. 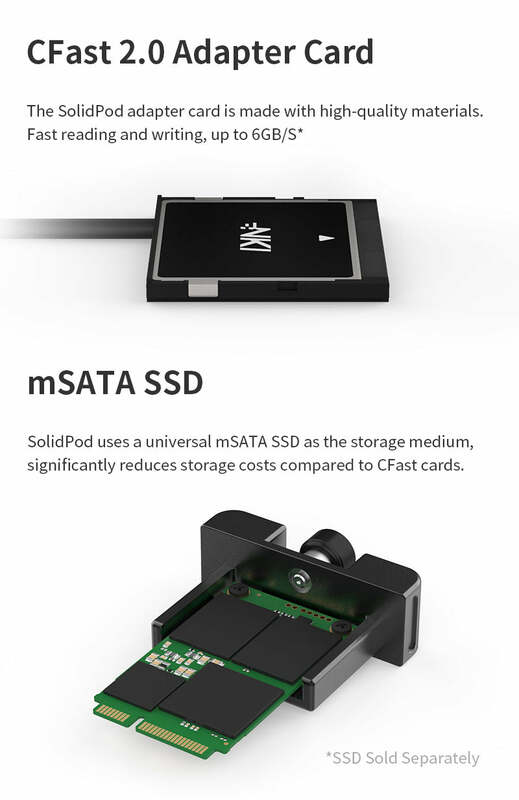 SolidPod provides a reliable alternative solution to expensive CFast 2.0 memory cards. Supports Canon C200 and Blackmagic URSA series camera with no modification to the camera body. Other models may require additional accessories or modification to the camera body to use this product. 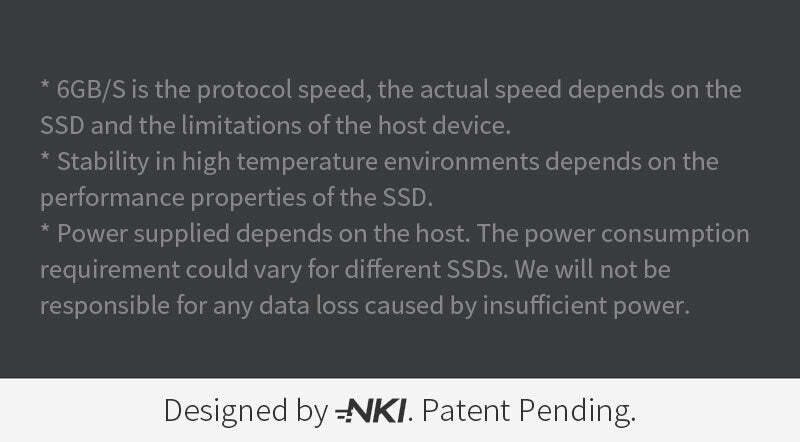 We recommend using Samsung 860 EVO 1TB mSATA SSD for maximum performance and value. *An accessory is required to use with the 1DX II, available in February 2019. **You will need to tape the BMPCC4K door to keep it closed. Complies with FCC / CE / RoHS / C-Tick. Exceptional well made, and it works. The only concern I still have is the cable, wonder if it will break by the pressure on the cable from the Canon C200 CFast door. Maybe NKI should also make and sell a CFast door for the Canon C200 with an opening for the cable. But overall a great product. Its super nice to not have to buy c fast cards, I have only taken the solidpod on one shoot so far and it worked flawlessly. 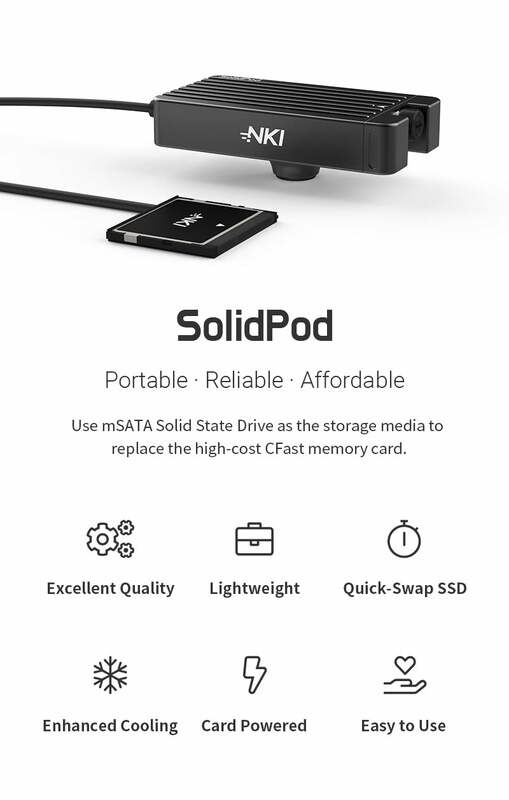 Our SolidPod CFast 2.0 to mSata adapter just works like having a Cfast card in our C200. Their customer service is top notch. I was on a chat with David when I bought our unit and he answered all our questions prior to our purchase.  If you want to streamline your RAW workflow, this is as good as it gets! I bundled it with a SolidPod reader for efficient data transfer. This will also save your camera's Cfast contacts from unnecessary wear and tear from frequently inserting and ejecting cards, our adapter is always in the camera and the only thing that gets ejected is the mSata drive on the caddy like when using a digital mag. If you are recording for longer periods, there is not a lot of heat buildup in the cFast compartment compared to using an actual cFast card. The mSata drive caddy has very good heat dissipation, no noisy fans and no external power required. You can mount this on any camera cage or spigot attachments etc.